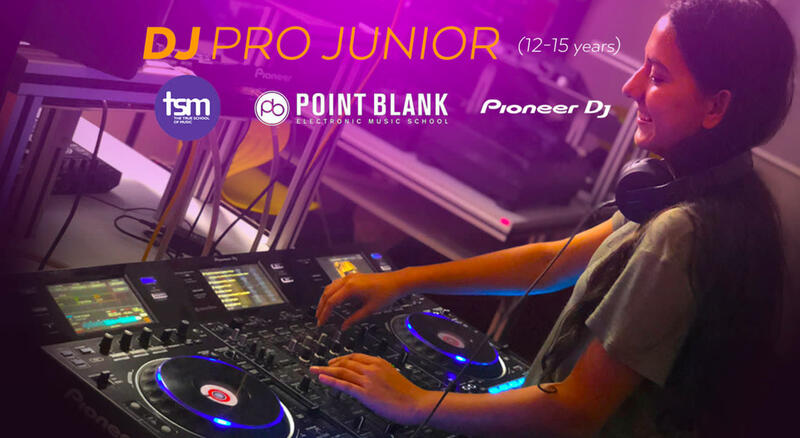 Supported by Pioneer DJ, the DJ Pro Junior course is perfect for 12-15 year olds and features the very latest in world class DJ kit. Throughout the term you'll be guided through a wide range of DJ skills including drop mixing, beat matching and fader techniques. You will also get creative with techniques including loops, hot cues, effects, preparing a set and much more. Classes are taught by professional DJs on the latest kit including CDJ 2000 NXS 2, DJM 900 NXS 2, DDJ RZX, DDJ RX and RMX 1000. You will have your own DJ set up in class and access to a lot of individual practice time.